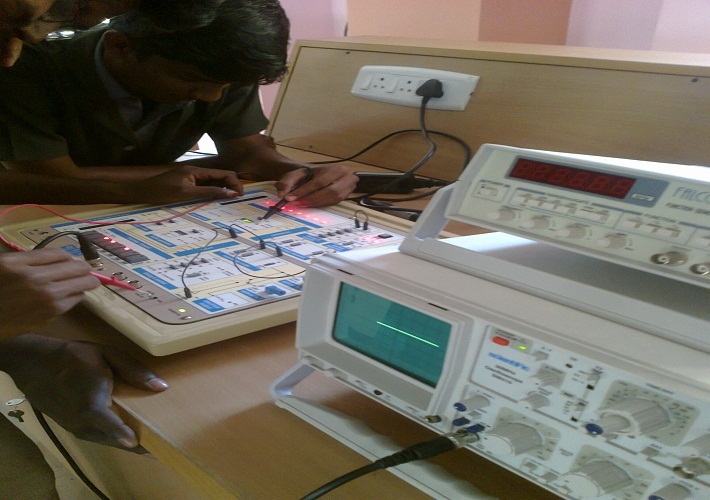 The Department of Electronics and Communication Engineering (ECE) was started in the year 2008 with the vision of developing the Department as a Centre of Excellence in R & D in the field of Electronics and Communication Engineering. The Department aims at making the students blossom into meritorious and self disciplined Engineers with dedication and hardwork. Mission of the Department is to develop innovative and simple instructional approaches to imbibe the concepts into the minds of students and infuse scientific temper in the thoughts of students and guide them to carry out Research in Electronics and Communication Engineering. Also to facilitate students in acquiring theoretical knowledge as well as practical skills needed for meeting the challenges in the field of Electronics and Communication Engineering.